Give employees a “heads up” about your new policies with this imprinted guy! These crazy cooking gadgets will keep you company in the kitchen. 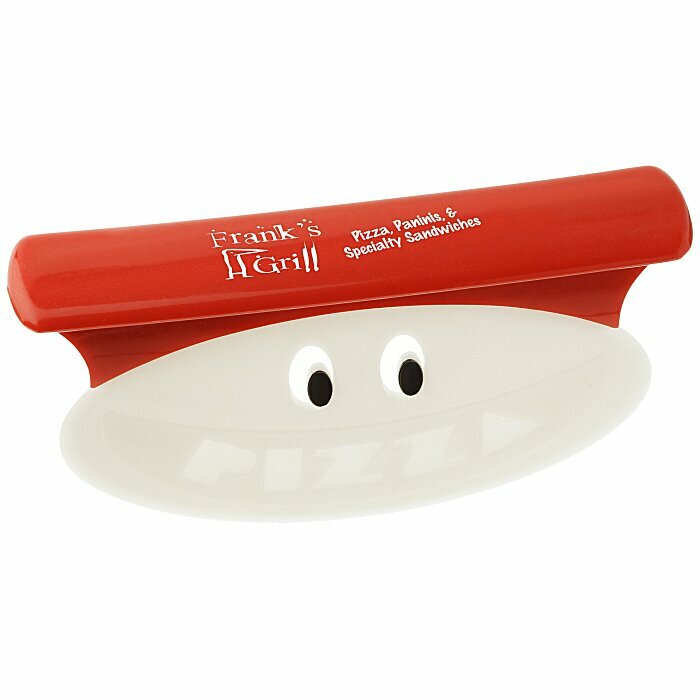 Two eyeballs peek out at you from the blade portion of this pizza cutter, turning a tedious task into an anticipated project. The rugged ABS plastic pizza cutter slices your pie into wedges with delight. Roll the blade over pizza with a little wrist action using the long 5-3/8" handle. We have a great selection of Kuzil kitchenware to match; please contact your customer service representative for even more possibilities and personalities. Size: 3-1/8" x 5-3/8" x 1-1/8". Your price includes a one-color imprint on top of the red handle.